Just in time for Christmas. Thanks to Crafty Vee's for the request of this one! 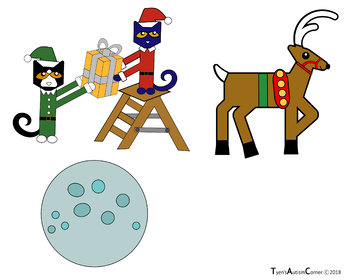 These are visuals to be used with the book Pete The Cat Saves Christmas written by Eric Litman and illustrated by James Dean. Visuals are made by Tyen'sAutismCorner in the likeness of the original artwork by James Dean. 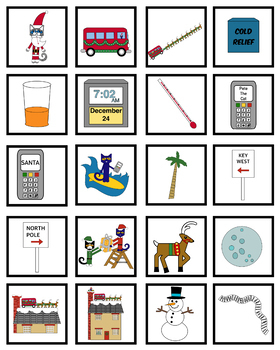 These work great for comprehension and retelling the story in a fun way. Visuals come in two sizes-one for larger groups and another for one on one application. Pecs size communication cards are also included. 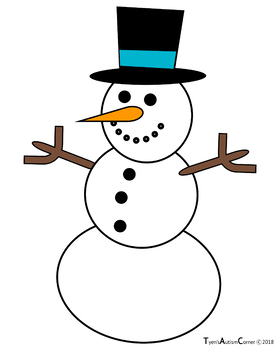 For some added fun there are three coloring pages, pieces to build you own snowman, fireplace to hang up stockings, and a tree and ornaments for decorating. Hope your students will have fun with these visuals. Thanks as always for the feedback, suggestions, and for stopping by to have a look! Tyen'sAutismCorner wishes you the happiest of holiday seasons!